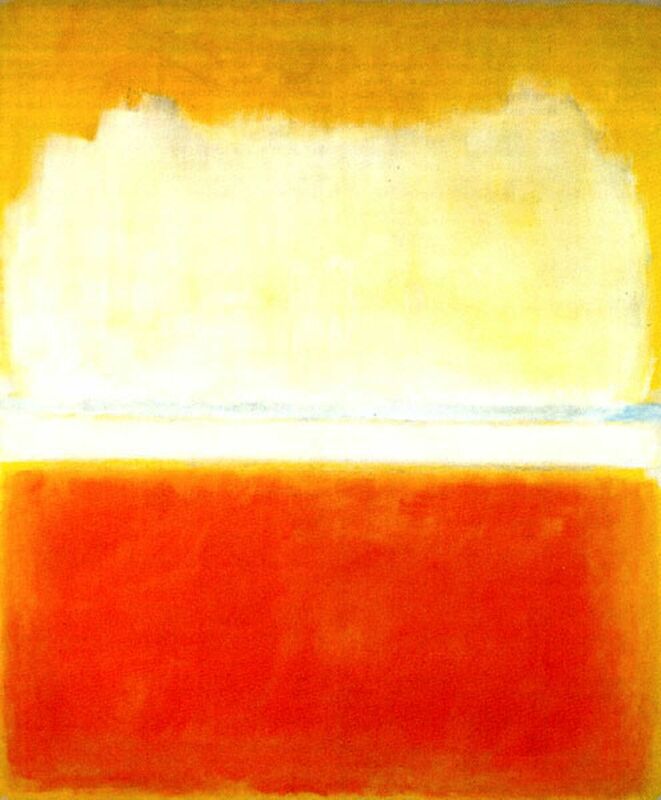 Rothko is special, as is this speech, as is the work the Connor Habib has done and is doing. Swinton refers to “art held in spirit.” Whether you are in the community of artists as a creator or as a receiver of and responder to the created object or event, you are not alone.”[A]rt is held in spirit” there as well. Thank you. I especially enjoyed learning that ‘glamour’ — one of my favorite words — has its linguistic roots in Scotland, from whence came many of my forebears. And as an artist, it is also gratifying to hear encouraging words about works that viewers may not find overtly lovely at first glance — but which, with a little patience, will reveal more about what we have in common, than what makes us different from each other. Thanks again. Thanks for saving and sharing this. Many things to think about. I especially liked the concept of both. Not from a concept of greed, but from a willingness to embrace other possibilities. Thanks for reading – and yes! Both. I am extremely flattered that you used a picture of mine – the last one here – of Tilda images I took projected on San Francisco City Hall in 2007. I would be even happier if you would credit me, Lucy Gray. Thank you. Reblogged this on Deborahsdharma's Blog. I have said before, and I still feel it’s true, Tilda Swinton is a time traveler visiting from the future. This speech is further testament to my magical thoughts. Reblogged this on Kathleen Wise. Discovering the landscape inhabited by artists has been the miracle of my life…. Truly… Art..Brings soul to life, gives hope and confidence to weather the traumatic, profane, and mediocre..without the sensitivity of art, life is a wasteland. Thank you for giving us this opportunity to take in these words. In Montreal we have not so much darkness as light. The light of the snow, the light of a clear blue sky, the light of the city reflected in the sky even as darkness tries to edge its way in. 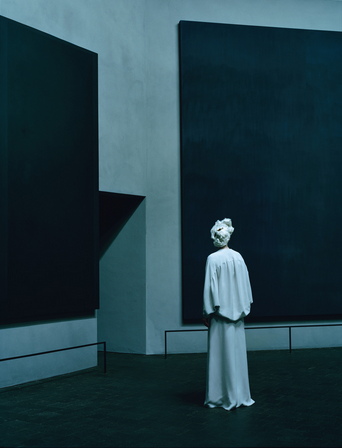 Tilda Swinton’s speech about the Rothko Chapel in Texas is worth a read. It’s the first time I’ve ever wanted to go down there! “We come. We take it home with us. We never really leave. Thank you so much. He is a beloved artist. A deeply thoughtful reflection on the duality that exists in all of us. As an Art Therapist, and someone who leans more toward Carl Jung’s theories, I see the Shadow and work with the Shadow on a regular basis. What we dislike in others is probably what we dislike in ourselves. What we admire in others is likely what we recognize resides in us. Swinton’s words are beautifully composed while they ponder the duality. Light and Dark. Good and Evil. Glamorous Magic. Inspiring thoughts. I am so thrilled to be able to read this speech, and hear it again in my mind! I was at the Rothko Chapel event, and her talk was indeed magical. I kept thinking how happy I was that the Chapel was recording it and that others would get to hear it — only to find out later that no such recording was made. Now, at least, her words are public at last. Thank you so much. Incredible words from a luminous human being. I read it at the right time in my life, as well. As a filmmaker who’s often delved into the dark matter of the human soul. With the tsunami of words and information that mean so little and assuage us at every turn, it is a magical thing to read this transcript of Tilda Swinton at Rothko Chapel. May we all seek and encounter ‘dangerous magic’ and welcome the spirit of possiblility that art kindles in us. I am truly grateful to have been made aware of this. Thank you. Reblogged this on The Starry Messenger. “Glamour is a word derived from the Scots, meaning ‘dangerous magic.’” I’m taking this, and the rest, with me on my way. Thank you. Reblogged this on Use My Sky. Reblogged this on Widening the Aperture…Metonym of a Metamorph. Thank you for posting this. So many more were meant to be exposed to her words than were at the Chapel that day. “I believe that all great art holds the power to dissolve things: time, distance, difference, injustice, alienation, despair. I believe that all great art holds the power to mend things: join, comfort, inspire hope in fellowship, reconcile us to our selves. Reblogged this on The Garlic House artist studio and guest house. Excellent and sweetly rendered truths a, well turned lofty basic rules for living well. There are places where souls meet — beyond the borders of race, gender, age, or any other label that separates light from light. There are things the soul knows, things the heart overstands, places where we are almost divine in our touching of life –may we become the light we seek. There is something beyond or both … maybe neither…a third path, perhaps there are infinite paths and what we need is the light to find them. Such a beautiful piece. Thank you so much for posting it. I visited the chapel many years ago and found the paintings dark and even felt it presaged Rotho’s suiicide. At the same time, the stillness was formidable. 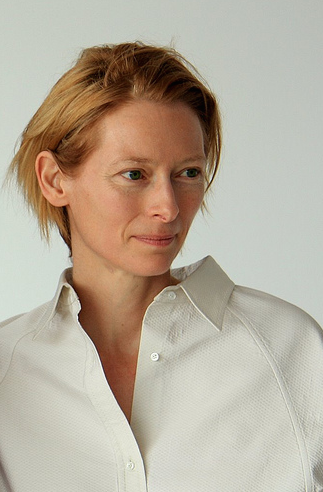 A beautiful speech by Tilda Swinton on THE QUESTION OF LIGHT. I’m grateful someone kept a record.